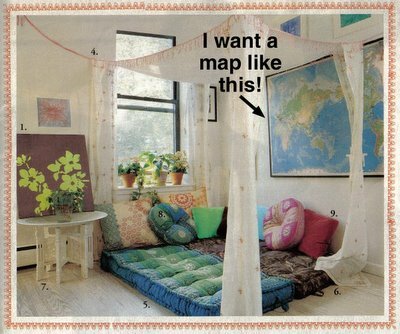 I found this picture in the Urban Outfitters catalog. Of course the one thing I want is not available in the catalog. In case you can't tell from the picture, it's a map of the world (with no fold lines - not one of those ones that you get in National Geographic) that is mounted with a flush black frame with no glass. Or at least that's what I interperet it to be and that's what I want. 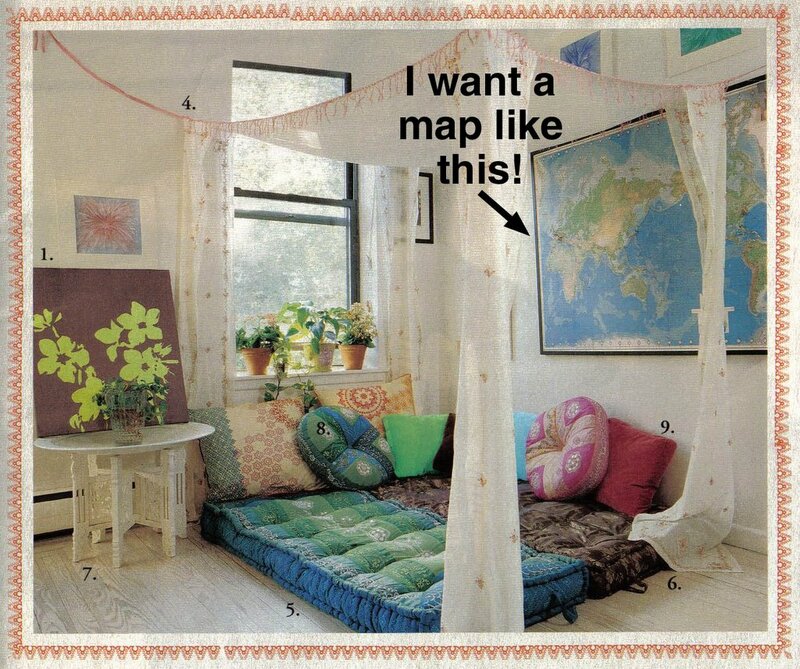 I think we could really use it in our bedroom over our bed to map out where we've been and where we're going. I know it's a pretty unoriginal idea, but I think it will look nice. The closest one I have found online is from the National Geographic map store, but we can only get it mounted in white or gold (even though it says that it comes in black too). hhmm... I am just going to have to get crafty I guess! Any suggestions are more than welcome (either for a place to buy one or mounting suggestions).